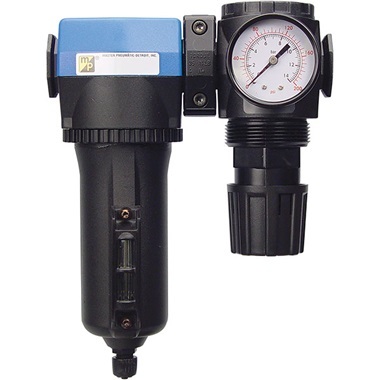 High-Quality, Made-in-USA, 1/2" regulator/water separator combo will provide you with dry, dirt-free air and regulate air to the pressure you need. Built-to-last, Made-in-USA quality will ensure years of dependable, trouble-free service. 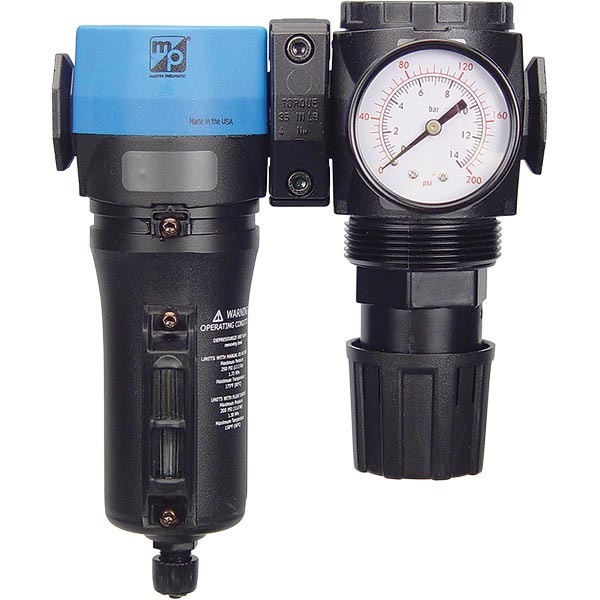 Designed for inline or modular mounting and has 1/2" inlet and outlet for a non-restrictive, full-flow design. Save by purchasing our pre-configured combos. An absolute must for quick and easy wall mounting. Sure, you could fabricate a wall mount bracket, but for this price why not just be done and ready? Recommended, it's a must have. When I purchased my regulator/separator, this mounting bracket was a suggested option. I chose not to get it thinking I could easily fab up my own bracket and save a few bucks, not so. I really needed this part to mount the regulator/separator that I had already ordered and received. I had to waist more time and pay extra freight to get the bracket coming. I would suggest the seller add the cost of this bracket and include it with the regulator/separator where it may apply. Perfect fit and correct space from wall.